Swamps and moist thickets or depressions in upland forests, sometimes in wet meadows and ditches or in drier forests, especially northward. A common and characteristic species of moister forests in northern Michigan; many southern records mapped in Michigan Flora are here referred to depauperate C. tribuloides, and the species seems very local, except perhaps near the Great Lakes shores. The typically lax or flexuous inflorescence of this species with well separated spikes with spreading perigynia is very distinctive when well developed, but is often obscure in young or depauperate individuals. 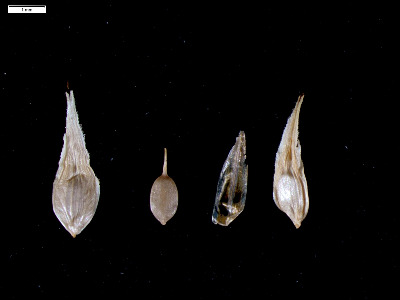 In this species, and in C. tribuloides, depauperate plants should not be collected; populations should be checked for well developed individuals and determinations based on these. See the notes under Carex cristatella. MICHIGAN FLORA ONLINE. A. A. Reznicek, E. G. Voss, & B. S. Walters. February 2011. University of Michigan. Web. 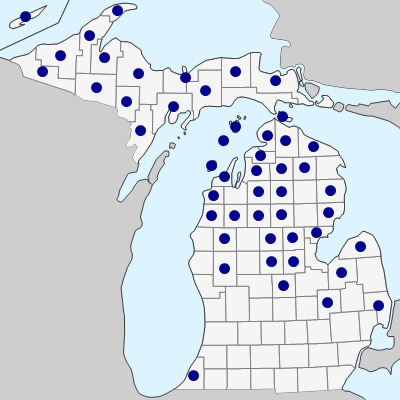 April 22, 2019. https://michiganflora.net/species.aspx?id=1033.